Sliding wardrobes go from strength to strength as the limitations of hinged door wardrobes continue to be found. Due to the unrivalled storage capacity that we provide, sliding wardrobes are even more irresistible. We get our materials from an international market leading manufacturer or sliding door systems; the owner of proven patented products. 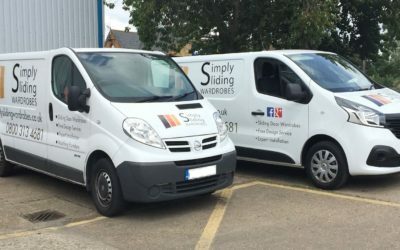 We have developed our installation skills and techniques for many different types of sliding wardrobe design over considerable time. These skills are learnt through experience fitting sliding door wardrobes every day to a high standard. Sliding Wardrobes for your New Build property – Don’t compromise now! Simply Sliding Wardrobes – Getting it right for you! 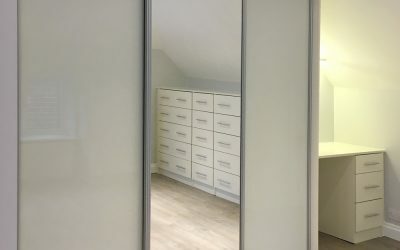 Simply Sliding Wardrobes – See our New Display!